Below you can find the life cycle for each version of programming language .NET Core, like .NET Core 2.2, including release dates and end of life (EOL) dates. .NET Core is a set of runtime, library and compiler components which can be used in various configurations for device and cloud workloads. .NET Core is a development platform maintained by Microsoft and the .NET community. It is cross-platform and can be used in device, cloud, and embedded/IoT scenarios. .NET Core refers to several technologies including .NET Core, ASP.NET Core and Entity Framework Core. 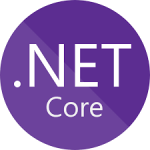 .NET Core is open source (MIT license) and was contributed to the .NET Foundation by Microsoft in 2014.